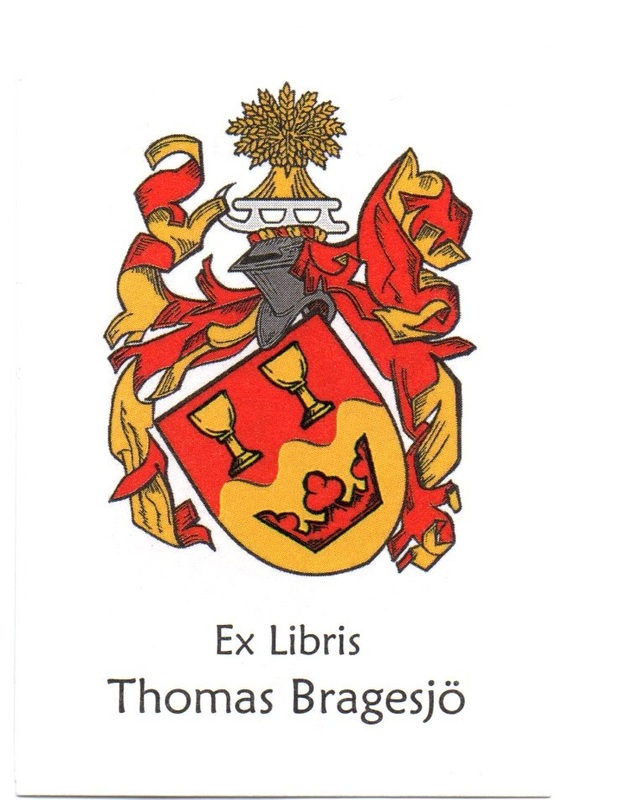 A coat of arms can be used to create ex-libris. Ex-libris are a small print or decorative label pasted into a book, often on the inside front cover, to indicate its ownner. 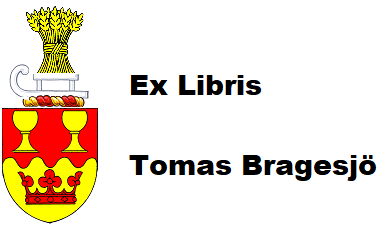 Ex-libris does not have to use a coat of arms or an existing coat of arms, it can be any given motive. Many motives are images of a building or an animal or a monogram. Names can also be in latinized forms. 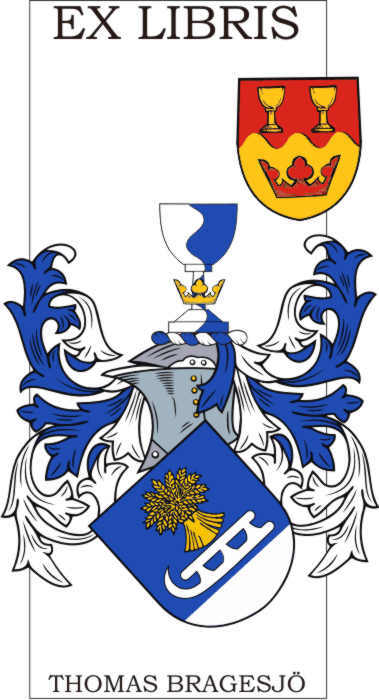 I have two heraldry versions that can be used as ex-libris while I dont use either of them in practise. Bellow is an other never used homemade sample created for this site. Christmas present from Thomas Falk.